Aliakbari, E., Tebyanian, H., Hassanshahian, M., Kariminik, A. (2014). Degradation of Alkanes in Contaminated Sites. International Journal of Advanced Biological and Biomedical Research, 2(5), 1620-1637. Ehsan Aliakbari; Hamid Tebyanian; Mehdi Hassanshahian; Ashraf Kariminik. "Degradation of Alkanes in Contaminated Sites". 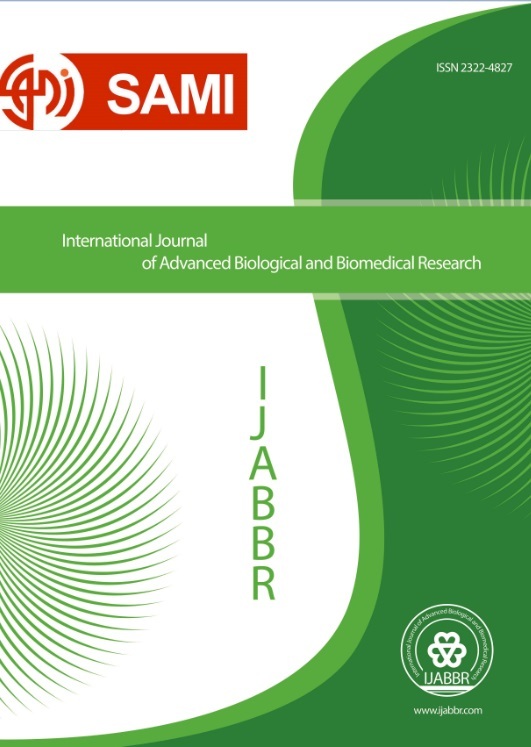 International Journal of Advanced Biological and Biomedical Research, 2, 5, 2014, 1620-1637. Aliakbari, E., Tebyanian, H., Hassanshahian, M., Kariminik, A. (2014). 'Degradation of Alkanes in Contaminated Sites', International Journal of Advanced Biological and Biomedical Research, 2(5), pp. 1620-1637. Aliakbari, E., Tebyanian, H., Hassanshahian, M., Kariminik, A. Degradation of Alkanes in Contaminated Sites. International Journal of Advanced Biological and Biomedical Research, 2014; 2(5): 1620-1637. Petroleum hydrocarbons are important energy resources used by industry and in our daily life, whose production contributes highly to environmental pollution. To control such risk, bioremediation constitutes an environmentally friendly alternative technology that has been established and applied. It constitutes the primary mechanism for the elimination of hydrocarbons from contaminated sites by natural existing populations of microorganisms. Petroleum (or crude oil) is a complex mixture of hydrocarbons. Annually, millions of tons of crude petroleum oil enter the marine environment from either natural or anthropogenic sources. Hydrocarbon-degrading bacteria (HDB) are able to assimilate and metabolize hydrocarbons present in petroleum. Crude oil pollution constitutes a temporary condition of carbon excess coupled to a limited availability of nitrogen that prompts marine oil-degrading bacteria to accumulate storage compounds. This review focuses on the role and distribution in the environment of degradation bacteria and their (potential) applications in bioremediation and biocatalysis. Bacteria play an important role in the microbial degradation of oil, chlorinated hydrocarbons, fuel additives, and many other compounds. Environmental studies demonstrate the abundance of alkane degraders and have lead to the identification of many new species, including some that are (near) obligate alkanotrophs. Bioremediation is being increasingly seen as an affective, environmentally friendly treatment for contaminated shorelines from marine oil spills. Oil bioremediation is limited by the availability of nitrogen and phosphorous which are needed by the bacteria and are not present in sufficient amounts for the biodegradation of the spilled hydrocarbons.